CHARLESTON, S.C., April 24, 2014 /PRNewswire/ — Life Cycle Engineering (LCE), Inc., today announced a partnership with OSIsoft to offer predictive analytics and intelligent asset management solutions for the oil and gas industry. The partnership was established to develop a customized risk-based asset management system that is based on algorithmic prediction analytics for real-time asset health monitoring. The solution responds to a need in the oil and gas industry for executives to quickly identify rig vulnerabilities that may lead to risks to the environment, safety of employees or financial threats to the organization. The solution will offer a visual dashboard that displays oil rig performance, health and location in real-time with remote accessibility. OSIsoft and LCE worked with a large U.S. drilling contractor to customize a solution that will realize value through managing risk and opportunity, in order to achieve an optimal balance of cost, risk and rig performance. With increasing regulations in the oil and gas industry set forth by agencies such as the National Offshore Petroleum Safety and Environmental Management Authority (NOPSEMA) and the United States Bureau of Safety and Environmental Enforcement (BSEE), companies are embarking on a major asset management turnaround strategy and plan for protecting the environment and safety of employees. The recently released Asset Management Standard, ISO 55000, further solidifies the significance of implementing a plan to mitigate catastrophic asset failures. LCE worked with the drilling company and OSIsoft to create risk-based equipment maintenance plans to be deployed with real-time asset health monitoring of drilling rigs. For more information on the real-time asset health monitoring solution contact Life Cycle Engineering or visit LCE at the Offshore Technology Conference (OTC) 2014, May 5-8, in Houston Texas in booth number 6119. 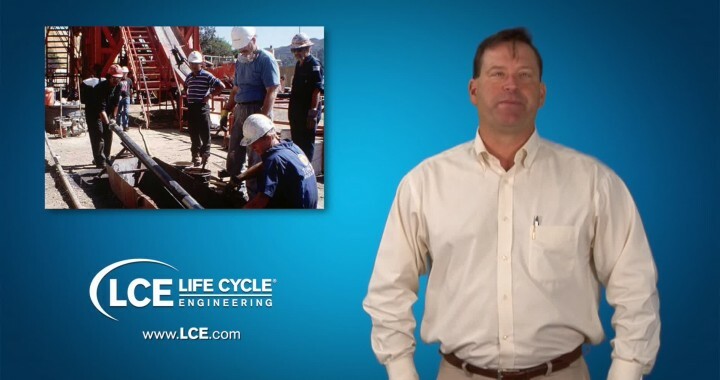 Life Cycle Engineering (LCE) (www.LCE.com) provides consulting, engineering, applied technology and education solutions that deliver lasting results for private industry, the Department of Defense and other government organizations. The quality, expertise and dedication of our employees enable Life Cycle Engineering to serve as a trusted resource that helps people and organizations to achieve their full potential. Founded in 1976, LCE is headquartered in Charleston, South Carolina with offices across North America and experience around the globe. Follow us on LinkedIn or Facebook or Twitter for company updates. OSIsoft (www.osisoft.com) delivers the PI System, the industry standard in enterprise infrastructure, for management of real-time data and events. With installations in over 110 countries, the OSIsoft PI System is used in manufacturing, energy, utilities, life sciences, data centers, facilities, and the process industries. This global installed base relies upon the OSIsoft PI System to safeguard data and deliver enterprise-wide visibility into operational, manufacturing and business data. The PI System enables users to manage assets, mitigate risks, comply with regulations, improve processes, drive innovation, make business decisions in real time, and to identify competitive business and market opportunities. Founded in 1980, OSIsoft, LLC is headquartered in San Leandro, CA, with operations worldwide and is privately held. Learn more about OSIsoft and the PI System at www.osisoft.com. Posted in Lean, Lean Manufacturing, Lean Six Sigma, Manufacturing Strategy Consulting, Oil Gas and Chemicals and tagged assetmanagment, Gas, lean, lean manufacturing, Lean Six Sigma, oil, osisoft, pi.